Refresh your everyday ensembles with the Nouv-Elle pebble cord necklace. Boasting a unique design, this stylish piece of jewellery is perfect for layering over plain tees or dresses and will add a distinctive finishing touch to your casual looks. 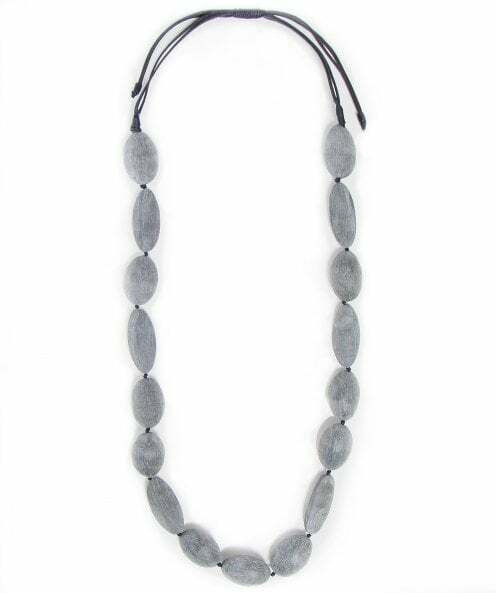 With a long cord and wooden style beads boasting a grained finish, this necklace is easy to throw on over any laid-back outfit.